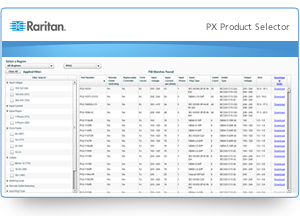 Raritan offers the BEST RACK PDUs on the market - PERIOD! Our industry-leading PX series offers hundreds of models to power all your data center applications, including models with outlet switching, individual outlet metering, high power for blade servers and high density applications, and 400V three-phase power distribution. Get certain off-the-shelf models delivered in as little as a few days, or have your PDUs engineered to meet your unique application.